Standard accounts of nineteenth-century German philosophy often begin with Kant and assess philosophers after him in light of their responses to Kantian idealism. 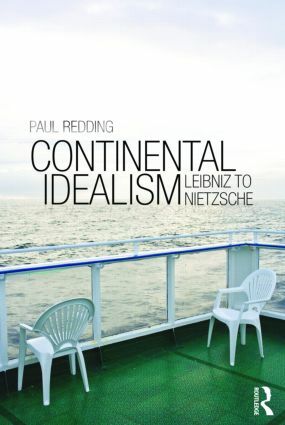 In Continental Idealism, Paul Redding argues that the story of German idealism begins with Leibniz. Redding begins by examining Leibniz's dispute with Newton over the nature of space, time and God, and stresses the way in which Leibniz incorporated Platonic and Aristotelian elements in his distinctive brand of idealism. Redding shows how Kant's interpretation of Leibniz's views of space and time consequently shaped his own 'transcendental' version of idealism. Far from ending here, however, Redding argues that post-Kantian idealists such as Fichte, Schelling and Hegel on the one hand and metaphysical sceptics such as Schopenhauer and Nietzsche on the other continued to wrestle with a form of idealism ultimately derived from Leibniz. Continental Idealism offers not only a new picture of one of the most important philosophical movements in the history of philosophy, but also a valuable and clear introduction to the origins of Continental and European philosophy. The Later Kant as a “Post-Kantian” Philosopher?